Who Is Hosting This, a hosting site rating site with its own viral marketing desires, is out with an infographic entitled 5 Reasons Your Awesome Content Isn't Going Viral. 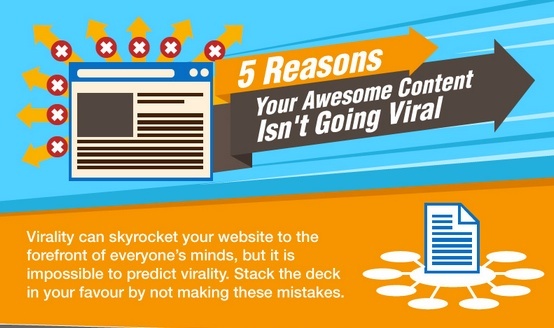 The infographic takes a look at what makes content shareworthy and sites what can detract from that such as lack of emotional appeal, bad timing, poor design, poor distribution and more. 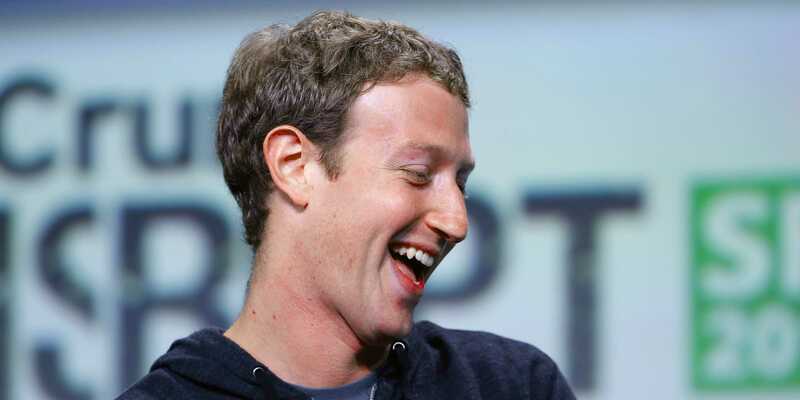 The web is buzzing with arguments that Facebook has become a bad deal for marketers. On Forrester's blog, Nate Elliot wrote that brands can now reach just 6% of their fans organically, citing a recent study from Olgivy. Brands are also discovering that a lot of their 'likes' come from fake fans. Elliot cites blog posts from several companies that detected 'like fraud' ranging from 40 to 90 percent. For years, brand spent millions thinking that Facebook fans would be their earned media channel, but recently, Facebook has decided that the way to drive revenue is to force brands to pay to reach their fans. This strategy netted $7.87 billion in revenue last year and has left social marketers without a significant earned media solution -- so they think. 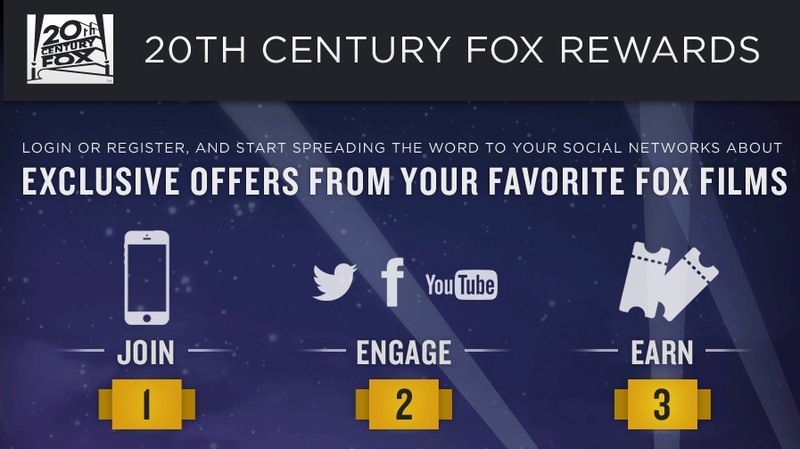 20th Century Fox Film has partnered with Social Rewards, a social loyalty engagement platform, to create Fox Rewards Program. The partnership was announced during the CinemaCon Theatre Exhibition Conference in Las Vegas this week. Social Rewards was founded in 2010 to help companies in the entertainment industry leverage social media to build sales and collect data through a loyalty program. Basically, the program allows people to earn free movie tickets for sharing movie trailers. Joe Smith wakes up one morning, walks out the front door of his apartment building and takes a selfie with the 3 feet of snow that have piled up on his Toyota Camry. He tweets out the photo with the header "OMG, that is A LOT of snow." He gets a few comments and retweets from friends. An hour later, he arrives at work, logs into Facebook and finds a friend's link to www.theflatteringman.com. 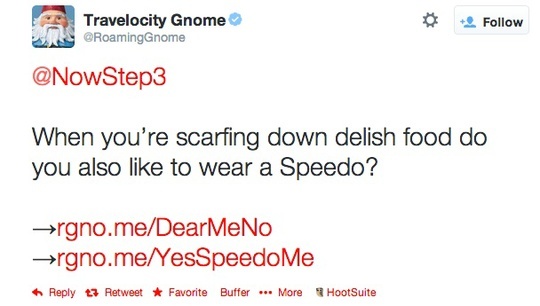 It turns out to be a prank website for a "Push Up Muscle Shirt" that is part of an Old Spice viral ad campaign. Joe likes and shares it. By 11:30 am, Joe can't look at the Excel spreadsheet in front of him without getting cross-eyed, so he logs into LinkedIn, spots Joe Pulizzi's latest post, "Content without Strategy Is Just Stuff ," and sends it off to the other guys in his marketing department. They were just talking over social media strategies the other day, so Joe thinks the article could help the entire group. Social media is a tremendous driver for business growth, everybody knows that. But there's this little problem of saturation with this media, or rather, with the Internet itself. There's too much information out there. 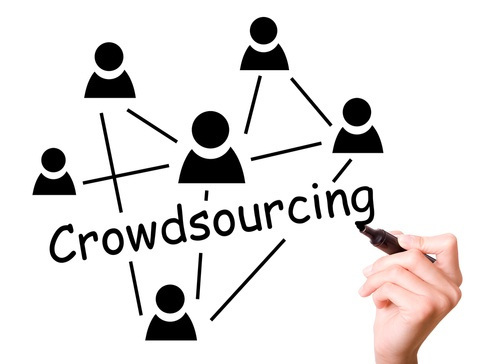 Too many businesses are trying too hard to be heard, to stand out from the competition. The result? A lot of same ole, everything seems stale, and consumers are in a real danger of ending up desensitized to your efforts. How do you get more people to check you out online then? Thankfully, we are not out of ideas yet and there's still a lot of novelty out there when it comes to using social media. Here are three excellent ways in which you can beat the crowd, capture the imagination of your target audience, and make the most of your social media presence. Now here's where the power of the press and social media can actually matter. As a follow up to its 4mm ad on the side of Sound & Vision Magazine, LG Norway has posted a 4mm image to its Instagram account with copy that reads, "Slimmer than the phone you are holding. 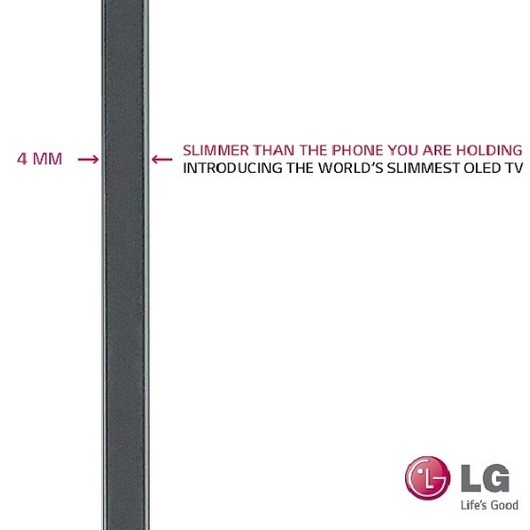 Introducing the world's slimmest OLED TV." Why is this a case where the power of the press and social media actually matter? Because the LG Nordic Instagram account has just 205 followers...hardly enough to made a dent in sales. 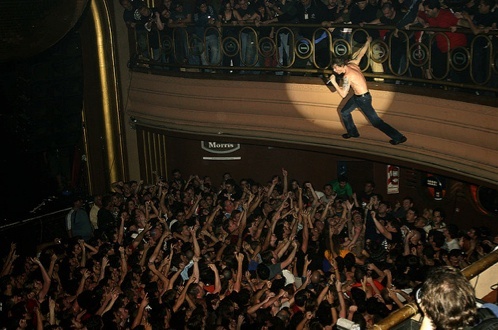 But, alas, these stunts are really never about sales. They're all about creatives stretching their minds to dabble in the latest, coolest, hippest stunt so they can put it in their book.